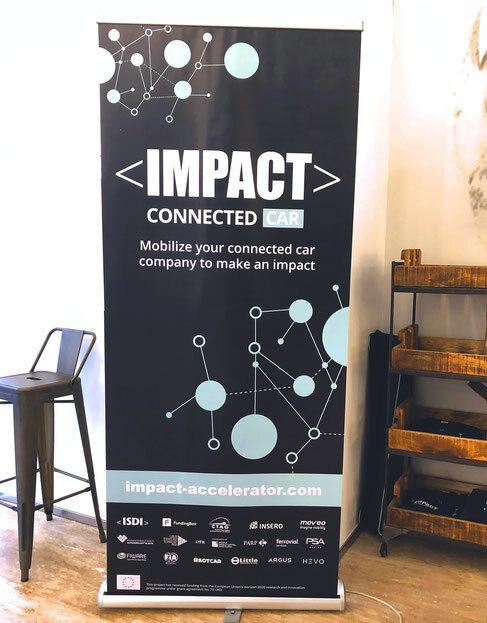 Impact is a team of accelerators, investors, and corporations in the startup ecosystem. 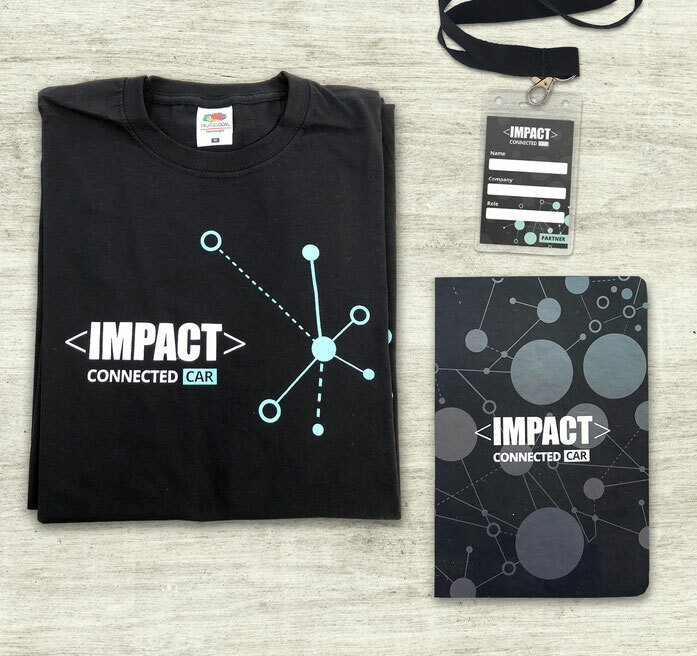 For an event of their new program "connected car" (which is focused on the cars of the future, driverless transportation, connected cars, and innovative experiments in the auto industry) they needed some nametags, notebooks, t-shirts, and a roll-up. I also created a small animation for the e-mail signature.